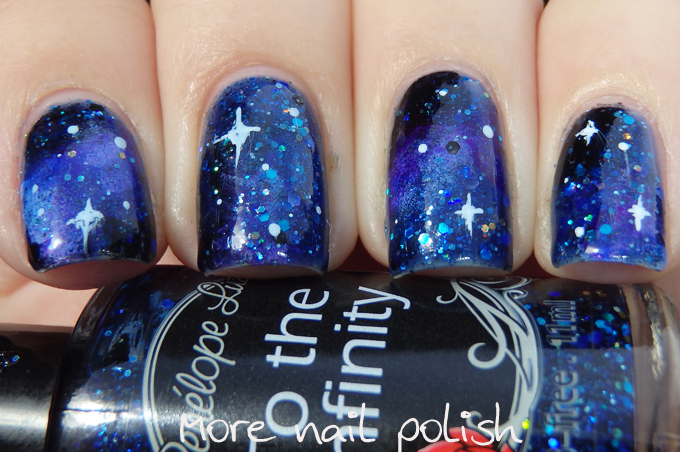 Penelope Luz - To the Infinity = gorgeous base for a galaxy mani. Hello polish lovers! I have a pretty one for you today. I've had this bottle of Penelope Luz To the infinity for so long, and I can't believe I left it in my untried drawer for this long. 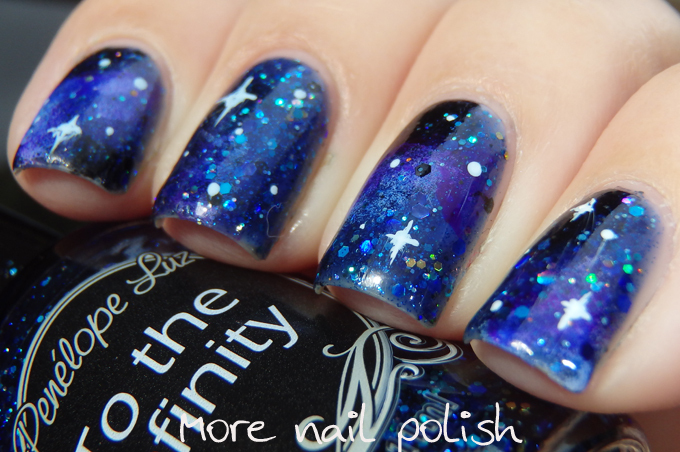 To the infinity is a delicious deep blue jelly base with lots of blue toned glitters. 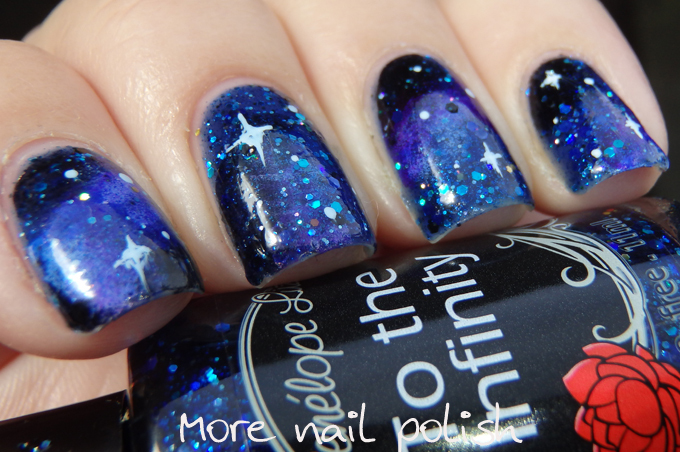 As soon as I had put two coats on I knew I had to transform the mani into a galaxy mani. With this base, it was really easy to make the galaxy look. I sponged on some black to start with, then I sponged on some white. I covered all of the white with blue and purple and then added a few white dots and stars with a dotting tool and brush. 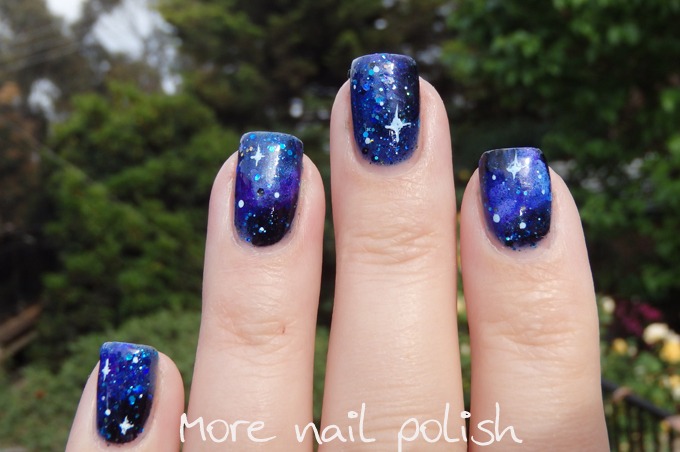 I think this was the quickest galaxy mani I've ever done, and it's one of my favourites. 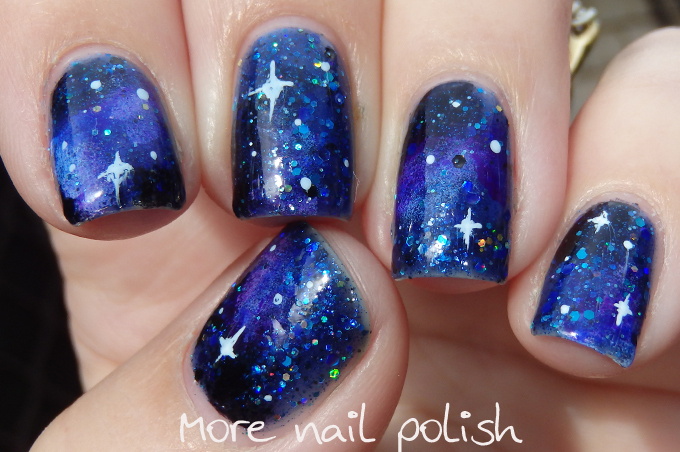 I love that you can create so many different looks with a galaxy mani, no one will ever look the same, even with the same polishes. I loved your nail art!